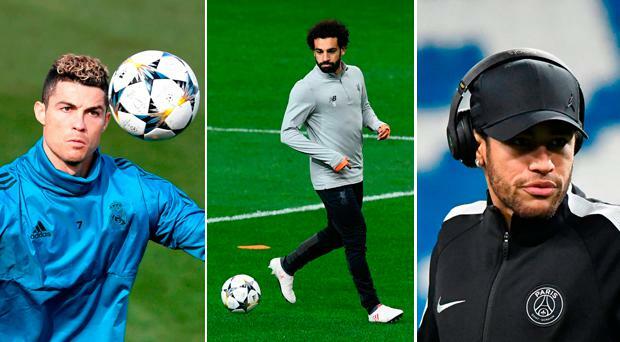 Liverpool v Porto, Real Madrid v PSG: What time do the games start, where can I watch them and what are the predictions? Your guide to the two fixtures in the round of 16 of the Champions League tonight. What time does the games start? Porto vs Liverpool kicks off at 7.45pm on tonight at the Estádio do Dragão. Real Madrid vs Paris-Saint-Germain is on at the same time in the Bernabeu. All eyes will fall on the Bernabeu as the reigning Champions League kings try to breath life into their faltering season against the rising stars of the European game. Zinedine Zidane’s future as Real Madrid boss may well depend on the outcome of this solitary match after a disastrous season to date, with PSG’s expensively assembled collection of superstars more than capable of picking apart their fragile confidence. With the French title all but assured, PSG boss Unai Emery needs to make progress in the Champions League to cement his future at the club, so this is a crunch game for both tacticians doing battle in the Spanish capital. Neymar and Kylian Mbappe may be the latest stars to arrive at PSG, but Cavani has been their stand-out performer this season with a glut of goals. Verdict: A score draw will suit PSG. While Liverpool may have been content with a draw against Porto in the last-16 of the Champions League, coach Sergio Conceicao and his Portuguese table toppers will be no pushovers. Porto are unbeaten on home soil in the Portuguese league this season, but they did lose a Champions League game at their Dragao stadium against Besiktas last September. This experienced Cameroon international has been in sparkling form for Porto this season and scored five goals in the Champions League group stages. Verdict: Liverpool will not keep a clean sheet, but they should leave Portugal in a strong position after a draw.